We welcome all aviation enthusiasts of all ages (you do not have to be a pilot or aircraft owner) to join our group or attend our meetings. Our meetings are held on every second Tuesday of the month (September to June) at the Waterloo Wellington Flight Centre (2nd Floor Training Room) from 7:00 to 10:00 p.m. at the Waterloo International Airport. All are welcome (members and non-members). Becoming a member is easy and affordable with a first year fee of $25 and a renewal fee of $25 thereafter. 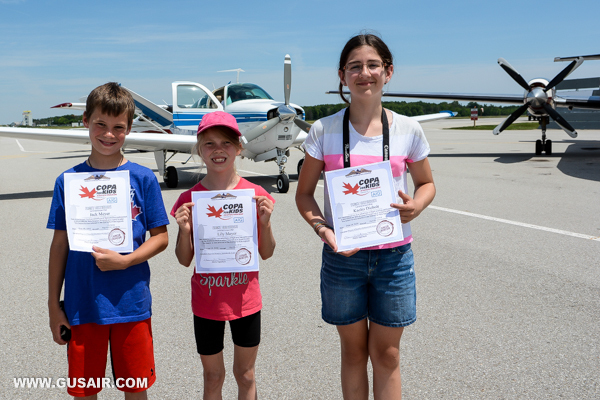 We have members who are not pilots but enjoy participating in our fly outs as passengers, helping out with our community events such as COPA for Kids or enjoy our monthly meeting guest speakers presenting on a wide range of aviation topics. Meets: Second Tuesday of the month.